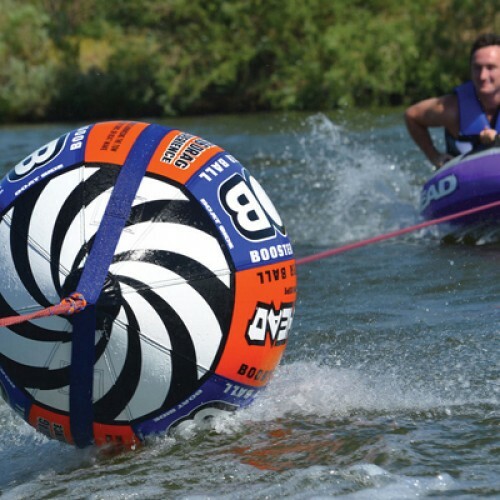 We have developed the 4K Booster Ball, an inflatable buoy with tow rope connected to both ends, as a way of keeping the tow rope out of the water the majority of the time while towing. This enhances the overall performance of most towable tubes and rafts & all our new DOABLES. The Booster is a hybrid towing system for more effortless towing of inflatable Doable/towables. want - ask for it.